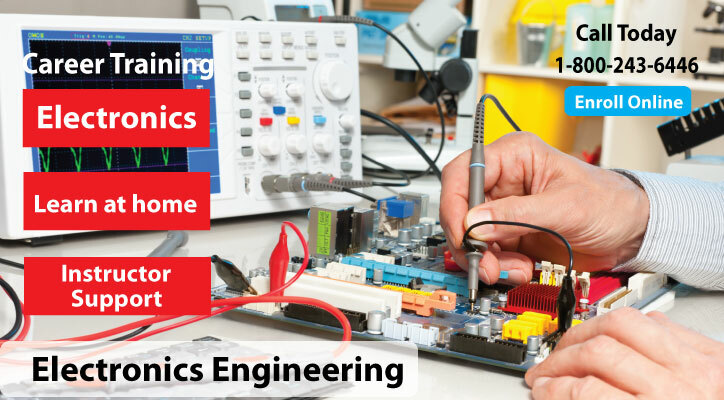 CIE's distance education Electronics Engineering course is an advanced-level course designed for technicians and engineers who want a deeper understanding of electronic circuits and advanced mathematics. Prerequisites are a high school diploma (or equivalent) with at least one year of algebra or geometry; or the completion of any CIE course, an in-depth working experience in the field of electronics, or the permission of CIE's Director of Instruction. Three Phase Circuits and Transformers & more! 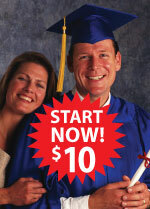 Enroll on-line in Course 6 for only $10 down. Electronics Engineering (Course 6) contains 89 lessons with instructor support. You can take your exams online with our e-grade site or simply mail them in to us. This program was created specifically for the distance education student. Experience a step-by-step method of learning that allows you to complete each lesson at your own pace when it's convenient for you! Our instruction staff works directly with you one-on-one to answer your questions and provide you with technical assistance when needed! Students graduate with a Diploma in Electronics Engineering. CIE has been teaching students via distance learning for 80 years. Electronics Engineering also includes a study guide on how to prepare for the Associate-Level Certified Electronics Technician (CET) exam. We can accommodate almost any arrangement that suits you best and with our generous time allotment of 30 months for Course 6 you can be assured to have enough time to complete your program. Complete lesson listing of the Electronics Engineering course.